Bafana Bafana will face a tricky foe at the 2016 COSAFA Castle Cup in Namibia in June after DR Congo were confirmed as a guest nation at the Southern African championship. The tournament will be staged between June 11-25, directly after Bafana are involved in an African Nations Cup qualifier in Gambia. 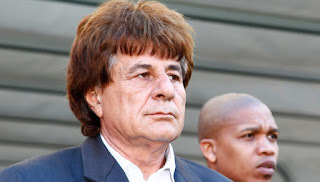 DR Congo were invited after COSAFA side Comoros Islands declined to compete this year, and will bring another level of gravitas to the tournament. The national side has been boosted by the success of TP Mazembe in the African Champions League in 2015. They also won the African Nations Championship in Rwanda earlier this year, and finished third at the African Nations Cup in Equatorial Guinea in 2015. DR Congo are currently positioned eighth on the African list of the latest FIFA World Rankings and so will go into the draw for the COSAFA Castle Cup as the top-ranked side. DR Congo will join the 2016 COSAFA Castle Cup at the quarterfinal stage along with South Africa, Zambia, Botswana, Mozambique, and hosts and holders Namibia. Those teams will be joined in the quarterfinals by the two first round group winners, to be contested by seeded sides Malawi, Angola, Zimbabwe and Swaziland, as well as Madagascar, Lesotho, Mauritius and Seychelles. The teams have been seeded based on the April 2016 FIFA World Rankings. The draw for the tournament will take place on Monday, April 25 when the 14 teams will learn their fate. Zambia and Zimbabwe have each won the COSAFA Castle Cup on four occasions since the competition was first played in 1997. South Africa and Angola have three titles each, while Namibia claimed their first championship win when they defeated Mozambique 2-0 in the final in 2015. 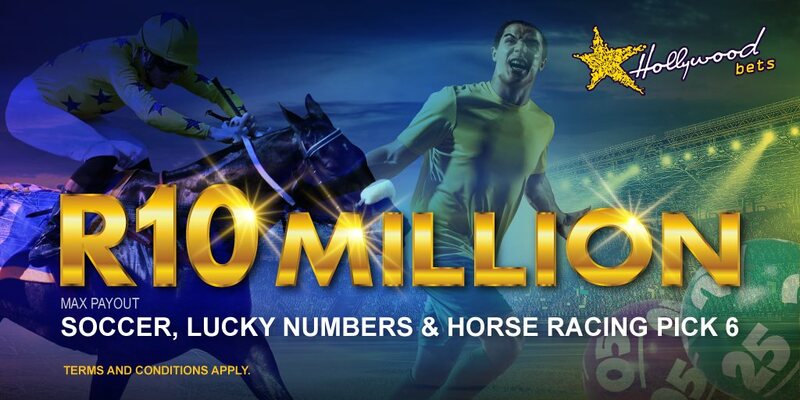 Mamelodi Sundowns conceded in time added on to lose 1-0 to AS Vita in Kinshasa in the CAF Champions League. Kule Mbombo scored late on from a rebound as the Brazilians opted to sit back for most of the second half, meaning they have a mountain to climb in the second leg in two weeks’ time. Royal Eagles have axed general manager Costa Bellos after less than six months in the job. Bellos joins coach Khabo Zondo out the exit door at Eagles, who are yet to officially announce the coach’s departure. This website reported yesterday that Zondo will be let go and is likely to be replaced by former Golden Arrows midfielder Bheka Phakathi as caretaker coach. Phakathi is set to lead Eagles when take on Cape Town All Stars in the NFD at Athlone Stadium on Saturday. Mamelodi Sundowns will host Orlando Pirates in Nedbank Cup quarter-final, while Baroka travel to Polokwane City. The Brazilians and the Buccaneers will square off in the pick of the last-eight fixtures, with giant killers Baroka will visit Rise and Shine in a Limpopo derby. 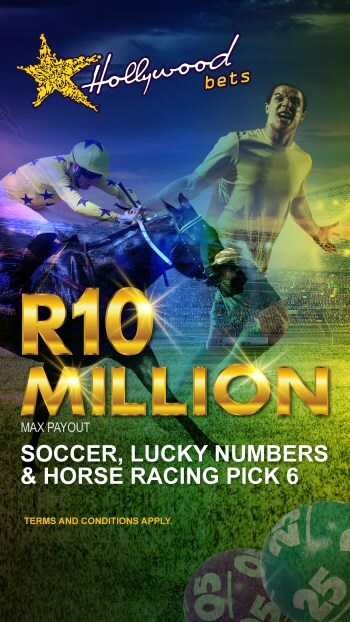 Elswhere SuperSport United will host Mpumalanga Black Aces, while Free State Stars will welcome Bidvest Wits. Fixtures will be played on the weekend of 23-24 April, with exact dates, venues and time still to be announced. Khabo Zondo is on his way out at National First Division promotion hopefuls Royal Eagles. Zondo – who was only appointed as head coach in November – is expected to be officially relieved of his duties today in a surprise move. Sources say there was a meeting held last night which has led to the latest development, which will most likely leave assistants Bheka Phakathi and Abram Nteo along with goalkeeper coach John Tlale overseeing the rest of the season. The former Golden Arrows coach has only been in charge since November after replacing Vladislav Heric. At the time he became the seventh coach to take charge of the club since the current owners took over the club at the beginning of last season. In his tenure Zondo has overseen 12 games – winning six, losing four and drawing two. Orlando Pirates chairman Irvin Khoza has announced Siyabonga Sangweni has retired from football. The veteran centre-back, who earned 29 caps for Bafana Bafana, has been plagued by injury, and has called time on his career on medical advice. Sangweni was restricted to six league starts for the Buccaneers this season, having previously been a key performer for the Soweto giants following his signing from Golden Arrows at the start of 2011/12. The 34-year-old's last match for Pirates was on November 29, 2015 against Etoile du Sahel in the CAF Confederation Cup final in Tunisia. "Today, I've asked this press conference because I want to announce the premature retirement of Siyabonga Sangweni," said Khoza. "Siyabonga has been plagued by injury and after consultation, the medics have confirmed that he has to end his career early. 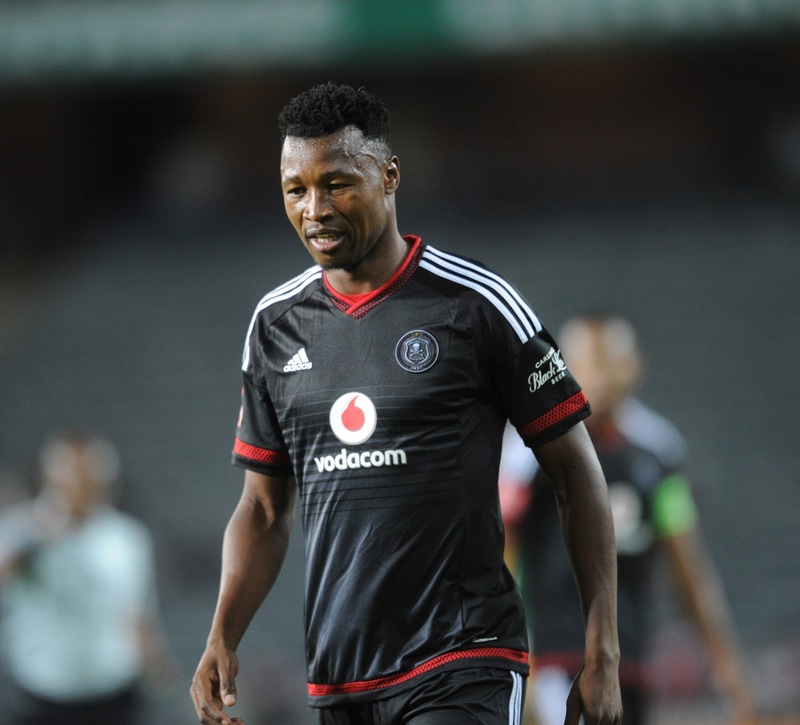 "Siyabonga Sangweni has been a stalwart for this club and has been a great leader. He has shown great commitment. "I wish him success with all his future endeavours. I thank him for his leadership qualities." He added: "We spoke to the team this morning, so it has been an emotional time to say goodbye to a great player like him." Meanwhile, Khoza revealed Bucs assistant coach Tebogo Moloi has been granted leave for personal reasons, while he indicated Senzo Meyiwa's family's issues regarding an insurance payout could be resolved soon. AmaZulu coach Steve Barker insists the club has no plan to sign former FC Twente midfielder Nhlakanipho Ntuli. Ntuli has been training with Usuthu for close to a month after his contract with Twente was terminated in January. Barker, however, says the Orlando Pirates youth product is merely working on his fitness at the NFD outfit. "There is no latest with Ntuli and it is the same as it was... he is just training with us," says Barker. "He didn't make training today as he is ill but he is basically training with us in preparation for move or trial or something in June or July. "So they (Ntuli's management) requested for him to keep fit and keep training with us." Veteran Ajax Cape Town striker Nathan Paulse says he is unsure whether he will stay on with the Urban Warriors next season, yet insists he is unconcerned over his future. The 33-year-old hit fine form early in the season, helping the Cape club lift the MTN8 trophy in September while leading the line with aplomb in Prince Nxumalo’s absence through illness. A fractured forearm resulted in a six-week lay-off for the towering forward, who has netted seven goals in 17 appearances across all competitions this season. Paulse was only handed a one-year deal at the start of the campaign, and with his current contract expiring at the end of the season, he admits he is not too sure what the future holds. “My contract is done now in June, but we’ll obviously sit down with the club soon and see what the best way is forward for both of us,” says Paulse. “I still feel good and feel I can still play an important part in this club. 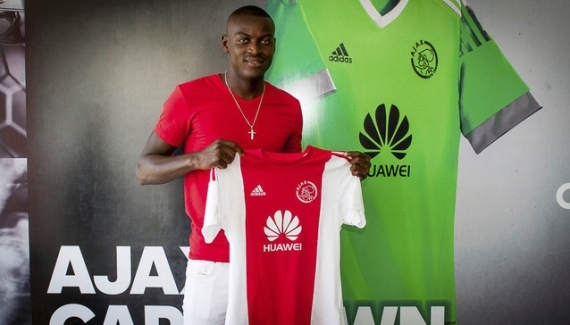 “But you never know in football.” Ajax currently sit ninth in the Absa Premiership standings, with Paulse insisting his focus is on trying to help the club secure a top-eight finish, rather than worrying about next season. “We’ll see, but for now I haven’t given much thought about the future – all I’m thinking about now is helping the team get back into the top eight and see how well we can end this season,” he says. “We are proud to still be fulfilling our legacy and long-term commitment to developing football at grassroots level. We are excited about the new league format, which will not only reach children in schools but furthermore provide the opportunity for the parents and communities to be part of the festivities whilst supporting their children. 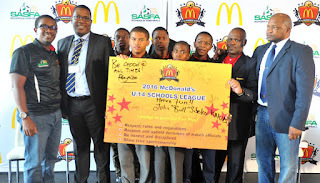 The soccer festivals will also allow children to showcase football talent amongst their peers from different provinces,” says Sechaba Motsieloa, Corporate Affairs Director for McDonald’s South Africa. The league also provides the opportunity for teachers and coaches to be trained at the Soccer Festival Coaching Clinics in partnership with KNVB (Koninklijke Nederlandse Voetbalbond – Dutch Football Association) WorldCoaches programme. 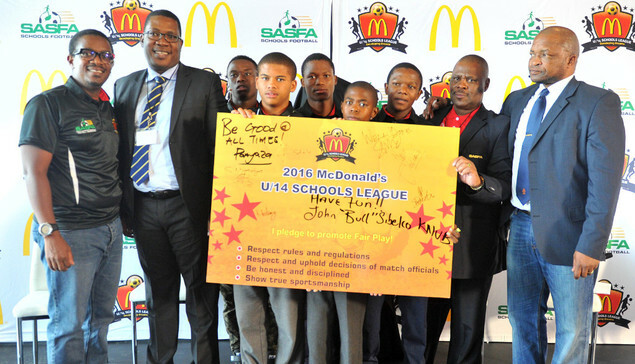 This training develops coaches that have a direct contact with the McDonald’s U/14 Schools League players in schools. Stanley Menzo will be appointed as Ajax Cape Town’s new head of youth. The 52-year-old former Ajax Amsterdam and Netherlands goalkeeper will take up the post left vacant nearly two seasons ago by his compatriot Corne Groenendijk. Menzo previously had roles at AGOVV Apeldoorn, Vitesse Arnhem and Lierse among other teams. As a player Menzo helped Ajax Amsterdam to the 1989/90 national title as well as the 1986/7 European Cup Winners’ Cup and the 1991/2 UEFA Cup. Cape Town All Stars have announced the appointment of Mlungisi ‘Professor’ Ngubane as their new head coach. Ngubane will take charge of Igugu Lekapa’s fortunes with immediate effect and will set about readying the team for this Saturday’s NFD clash with Royal Eagles at Athlone Stadium. Ngubane will take over from the current coaching team of Jerobeam Koert and Aschwin Sutton, who had been assisting the club in a caretaker capacity. Stars CEO Elasto Kapoweza is optimistic about the new appointment. The Durban-born Ngubane is renowned as one of the best coaches in the National First Division, and has previously coached at Thanda Royal Zulu, Nathi Lions, Golden Arrows, Chippa United, Maritzburg United, Black Leopards and Durban Bush Bucks, where he was a legend in his own playing days. He has also enjoyed stints in charge of the Namibia national team. Jomo Cosmos have brought in Kevin Kimani as they seek to avoid relegation with the Kenyan attacking midfielder only waiting for the issuing of his work permit. Kimani actually signed a couple of weeks ago but the deal was subject to his paperwork coming through. He joins Cosmos as a free agent following the expiry of his contract with Kenyan Premier League club Tuskers at the end of last year. The 26-year-old was the 2011 Player of the Year in Kenya while still on the books of Mathare United. He has also previously played in Greece and Belgium. Kimani might make his debut against Bidvest Wits on Wednesday in a game that Ezenkosi will be desperate to get points from to avoid getting sucked further into the relegation mud. Jomo Sono spotted Kimani during a 2018 World Cup qualifier between the Harambee Stars and Cape Verde last year and then made a follow-up on him at the 2015 CECAFA Senior Challenge later on in the year. Golden Arrows coach Clinton Larsen is set to have his contract extended when his current deal expires at the end of the season. It seems Larsen will survive the chop although the team has not been playing the best football under his stewardship since he took over last year from Serame Letsoaka. He has also defied the odds by outcasting club hero Mabhuti Khenyeza as the workaholic striker will not feature again this season. The former Bloemfontein Celtic coach is currently using players from the MultiChoice Diski Challenge team due to some senior players being out of form. Larsen was hands-on when the Diski team won the second instalment of the PSL Reserve League, and chairperson Mato Madlala is delighted more youth players are being given the platform to be unearthed. “I have been talking to the chairlady and we started negotiations already for next season and we have already started the process,” says Larsen. The 45-year-old has been in charge for 14 matches in all competitions and has won just five, which has also seen the club move out of the top eight. Larsen will see this coming weekend’s visit of his former club Celtic at Dr Molemela Stadium, a venue that was recently reopened after refurbishment. Daylon Claasen started for German Bundesliga II side 1860 Munich as they lost 1-0 at home to Greuther Fürth to remain in the relegation play-off positions. Anele Ngcongca missed out for Troyes with injury, while Kermit Erasmus (Rennes) and Lebo Mothiba (Lille) were not selected for their respective Ligue 1 teams. Andile Jali played as his KV Oostende side were on the end of a 4-0 hiding from Genk to leave club 13 points off the pace in the title race. Darren Keet was again on the bench for Kortrijk in Belgium having battled to win his place back in the side following a stomach bug picked up on national team duty. May Mahlangu was missing for Sint-Truiden as they drew 1-1 at Sporting Chaleroi. He suffered a leg injury in his previous outing. Mandla Masango played the full 90 minutes as Randers gained a credible 1-1 draw with league leaders FC Copenhagen in Denmark. Mihlali Mayambela was on the bench for both Djurgardens’ matches this past week without getting on to the field. Kamohelo Mokotjo was named Man of the Match as FC Twente lost 1-0 to Feyenoord. A good shift in a week he retired from international football. Dino Ndlovu returned from injury for Cypriot side Anorthosis Famagusta as they drew 1-1 at home to leaders APOEL. Ayanda Patosi was substituted at halftime as Lokeren lost 2-1 at Mechelen in the EFA Europa League playoffs. Lebogang Phiri grabbed his third goal of the season as his Danish side Brondby won 1-0 at home to OB. Granwald Scott came on just past the hour-mark for Slovakian side Slovan Bratislava as they won 3-1 at home to Ruzomberok. Thulani Serero was a late substitute for Ajax Amsterdam as they stayed top of the Dutch league with a 1-0 victory at bottom side Cambuur. Luther Singh started and Pule Maraisane was on the bench as GAIS lost 3-0 to AFC United in their Swedish second-tier clash. Lars Veldwijk was substituted at halftime as PEC Zwolle won 3-1 at home to Roda JC to stay in contention for the Europa League playoffs in Holland.